What if the brand that invented the smartphone encouraged people to put it aside for a while? 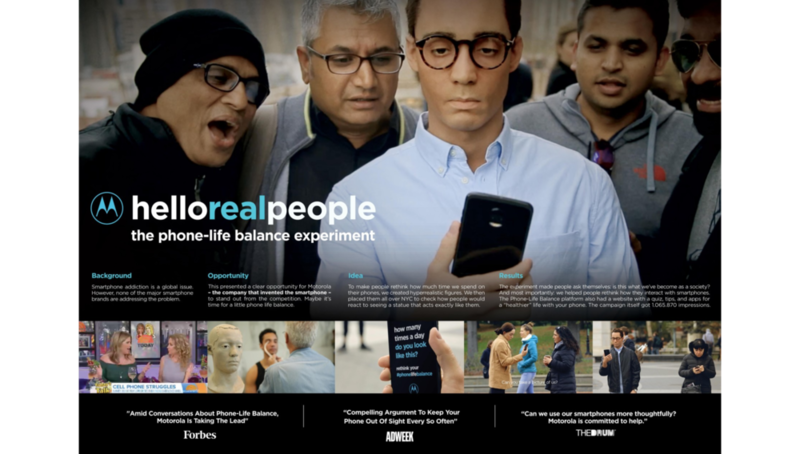 This is the bold message of the Motorola new global campaign: Phone Life Balance. Insight: The average person spends 4 hours a day staring at their phones. Idea: To launch the Phone Life Balance platform and make people rethink how much time they spend on their smartphones, we created hyperrealistic statues and set up an unprecedented experiment. Are you social or anti-social? Watch the film and find out.